The town secured top ten places in league tables showing the ‘most entrepreneurial’ places and ‘growing affluence’ in the UK 2019 Vitality Index of Britain’s largest towns and cities outside London. 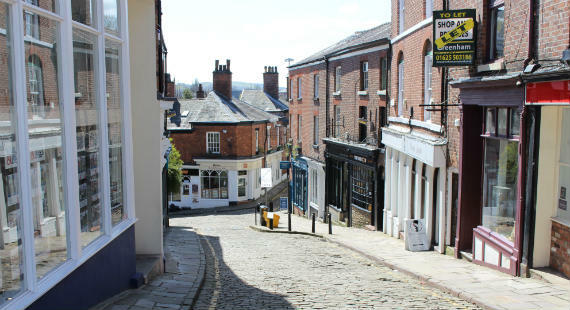 Macclesfield is ranked second in the ‘most entrepreneurial’ category – up from equal eighth in 2018. Macclesfield also sealed third place in the 2019 table of ‘growing affluence’ – up from 10th last year. Macclesfield is number one in the North West for both categories. The UK Vitality Index provides a comprehensive assessment of the health of the local economies of the UK’s 66 main regional towns and cities. It identifies which locations are best placed to support economic growth, new jobs and new business expansion. Frank Jordan, Cheshire East Council’s executive director for place, said: “This report is excellent recognition of the entrepreneurial spirit, economic vitality and potential of Macclesfield.